In the Improbable Interview Series, we interview people way out of our league. This week: Leon Panetta, former Secretary of Defense and Director of the CIA under President Obama. Journalist Frank Sesno once called Secretary Panetta the “Former Just About Everything,” and for good reason. 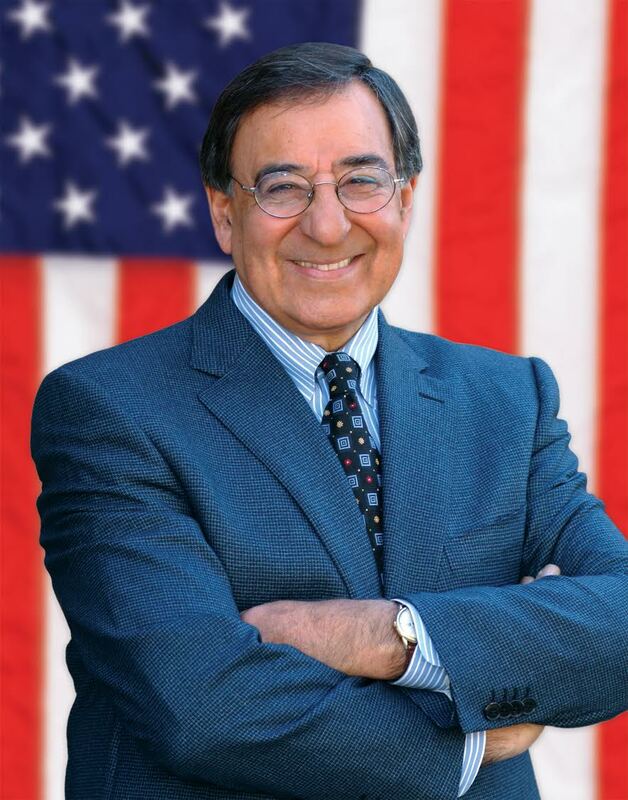 In his decades in government, Secretary Panetta has served in the U.S. Office of Civil Rights, Congress and the Office of Management and Budget. He was President Clinton’s Chief of Staff during contentious budget talks with Congress, and as CIA Director he oversaw the operation that killed Osama bin Laden. We had plenty to talk about. Josh: Let’s jump right in. When we let our social media followers know about this interview, we got a very, very strong reaction about how they felt about the CIA and the military. For a lot of them, they associated [both institutions] with misguided policies, government overreach and surveillance, and this sort of American imperial presence. What would you say to them? What role should the U.S. play in world affairs? Are there any examples from your tenure that you think illustrate the right use of American power? One, is obviously the war on terrorism against ISIS. Two, is the terrible instability in the Middle East with failed states and Syria, as well as Libya and Yemen and others. That’s creating tremendous instability and encourages both Sunni and Shi’a extremism. You’ve got Iran. Even though we’ve reached a nuclear agreement, we’re not sure whether they’re going to continue to support terrorism in that part of the world as they have. You’ve got Russia, which is almost a whole new chapter of the Cold War, [with] the aggression both in Ukraine and Syria. We’ve got North Korea now testing missiles and testing nuclear weapons, representing a real threat in the Asia-Pacific region, which also represents a threat to the United States. There’s China making territorial claims in the South China Sea. Just the general threat of what I think is the battlefield of the future—the potential for a cyber attack that can literally cripple this country. So, there are a number of flashpoints out there, and the United States has a unique position because of our values, because of what we stand for, because of our power. We have a responsibility to exercise strong world leadership, and I think unfortunately, if we don’t provide that leadership, no one else will. What do you see as an example of American success in confronting these flashpoints? You have organizing the effort against al-Qaida after the attack on 9/11 and the effort to go after terrorists. Probably the most successful operations were conducted against al-Qaida’s leadership, particularly the operation against [Osama] bin Laden. That’s an operation I’m particularly proud of because I was CIA Director at the time. Speaking of the War on Terror, when groups like ISIS or al-Qaida say they are lashing out against the U.S. in response to U.S. military intervention, how do you defeat an enemy like that? What’s the long-term strategy? You need a comprehensive approach to deal with that kind of terrorism. The reality is that ISIS represents—as we saw in the attacks on Paris and San Bernardino—directly threatens the lives of innocent Americans. For that reason, as the President has pointed out, we have a responsibility to defeat them and to go after them. At the same time, it’s not only necessary to take steps to defeat them and try to protect our country, but it’s also important to go after the root causes of terrorism, particularly in the Middle East. That requires really a strong coalition of nations — Arab nations, European nations, the United States, Israel—all working together. I think we can put together a comprehensive approach. That’s certainly what we ought to be doing. Do you think the United States’ history of interventions is one of those causes of terrorism? You know, when you look at the attack on 9/11, it’s a little hard to justify the killing of 3,000 people because [al-Qaida] viewed the United States as somehow a threat. I don’t think you can say that was the cause of what happened on 9/11. How do you go after terrorism and defeat terrorism without inspiring new groups to fill that void? It seems like during the War on Terror, we went after al-Qaida, and then al-Qaida more or less diffused through the region, and then new groups either drew inspiration from them or split off from them. Let me ask you something: if somebody comes in and threatens you and your family with a gun, do you try to rationalize with them, or do you try to confront them? Of course. And that’s what we should do when it comes to terrorism. You’re asking whether we have to make a choice here, and I don’t think we have to make a choice. We can confront them. At the same time, we can try to deal with the reasons that make them do what they do. We still have a responsibility in this country to defend our citizens. You can’t just simply allow them to come into this country and kill Americans and kind of excuse that on the basis of, “Well, you don’t want to try to take them on.” Of course you want to try to take them on. You’ve got to protect this country. That’s the first responsibility of a President of the United States, to protect this country. I mean, look, it’s like dealing with gang warfare. Those gangs that are shooting innocent people on the streets, you can’t allow that to happen. So, you have to arrest them. You have to charge them. You have to bring them to justice. At the same time, we’ve got a responsibility to deal with what are the root causes that drive people to join gangs, and you have to take that same kind of approach and apply it terrorism. What would an ideal version of a system letting in refugees but protecting American security look like? One thing we have in our democracy is that when we implement steps to protect ourselves, we have to provide the important oversight that is part of our democratic system of [having] three equal but separate branches of government. Do you think the current system of checks and balances for accepting refugees to the United States is one that makes sense? Is there anything about it that you would change? I think it’s very important for us, as a country of immigrants—the Statue of Liberty representing what this country is about—to be able to welcome refugees into this country. We’ve always done that. My parents were immigrants. It’s important for this country to always be able to open its arms to both immigrants and refugees. At the same time, particularly now with the concern about Syrian refugees, there is a system we put in place to check on security concerns to make sure that terrorists are not somehow coming in with those refugees. I’m confident we can do that. I think we ought to be accepting more refugees, not less. The way to do that is to make sure we provide checks that we’ve built into our system. You’ve been involved in civil rights work from school desegregation all the way up to the repeal of “Don’t Ask, Don’t Tell.” What do you think about the Black Lives Matter movement, and where do you see the government working with that movement and addressing its concerns for the future? We’ve always, throughout history, had groups that stood up to protect their rights and ensure that this country and our constitution really provided equal justice and equal opportunity for all. I think one of the great things about our democracy is our ability for people to come together and to express their concerns. It’s incumbent on people in leadership roles to take the time to listen to people that have those kinds of concerns, and, you know, it’s always easy to reject people or reject the extremes of individuals you may not agree with. It’s important for the leaders not only to listen to people on the left, but people on the right as well. Part of the problem we have today is nobody wants to listen to others. We all kind of lock in on our own beliefs and say, “To hell with others.” I think that’s a mistake. That’s what’s creating these huge divisions in our society. I think we’ve got to be much more willing to listen to others to understand their point of view and understand their concerns. Because, frankly, the only way our democracy has survived is because we’ve always been able to try to address people’s concerns, find consensus, find a way to resolve those issues. In the face of that inability to listen, what’s your advice to the young people out there who are disillusioned about politics and going into public service? I understand, and I’m concerned about that. As you may know, we have our Panetta Institute. What we try to do is inspire young people to get involved in public life. It’s really important for young people to understand that the only way things change is by being involved, getting involved, getting into positions in public service, participating in our democracy. If they walk away from it, then those that they we may very well disagree with are going to be the ones that will capture the system. The only way we can really exercise power in a democracy is by being involved. I just think that it’s really important that young people not get so angry or disgusted with the system that they say, “The hell with it.” The only way it’s going to change is if they get involved. That’s the interview. Now we want to hear what you think. Do you agree with Secretary Panetta’s take on the War on Terror or Black Lives Matter? Why?Leave us a comment here or on Facebook. If you have any ideas for future improbable interviews, send them to thespark@macalester.edu. Next Post Becoming Me: Harry Waters, Jr.